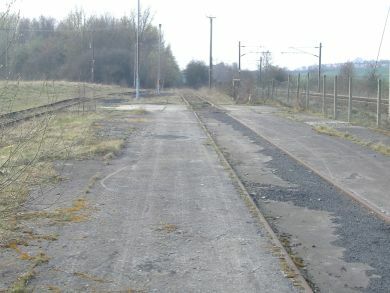 A view of the northern edge of the site, adjacent to the main railway line, showing the sidings to be used to transport the coal. The mine will be operated by a worker Co-operative and is expected to produce around 200,000 tonnes of coal each year, with an operating life of around 17 years. Prior to this there will be one year’s development time and a further two years at the end to completely restore the site. You can find more about the technology of the mine here, the mines location here, the socio-economic benefits of the mine here and the planning documents here.